Loop your voice instantly and scratch it with pro DJ techniques! Enhance your creativity with this advanced audio sketch pad and music studio production system. Access your iTunes music, create loops, beat-match, set cues, record samples, apply effects, and much more. While one turntable is playing, listen separately or record on the other turntable. 2 Turntables and a Microphone is the perfect platform for DJs and musicians from the beginner to the professional. Practice traditional scratching with the crossfader buttons and the most accurate touchscreen turntables available. Enjoy the versatility of the samplers, hot cues, looping functions, effects, hand-spinning, and manual beat-matching. Pre-listen to tracks with the split audio feature. The live microphone and production quality (48 KHz, 32 bit) sound processing invite endless possibilities, from creating your own samples, to mixing live performers into your music. The ‘Save Track Settings’ function allows you to fully prepare a mix in advance by saving samples, cue points, and effects to each individual track. 2TTM’s unique design allows for maximum creativity and limitless combinations. It’s amazing what you can do with just 2 Turntables and a Microphone! Play all your iTunes music, as well as MP3, M4A, AAC, CAF, AIFF, WAV formats from file folders and playlists within the app. Users can create, edit, tag and manage customized sound folders, to stay completely organized for their performances. 2 Turntables handles the scratching of sounds in a way that is very similar to real turntables. The crossfader buttons enable the quick response needed for the proper handling of many different scratch techniques. Using the main cues, hot cues, and the full controls of tempo and pitch, you’ll be able to accurately beat-match using the traditional DJing methods. Musicians and DJs who loop during live performances will enjoy the loop recorder. Preform multi-track looping by layering new sounds overtop of existing sound loops. Bounce down tracks from both turntables by recording with the main recorder and loading them back into the mix via the “Recorded Tracks” folder. Countless combinations of sounds and rhythms are possible by recording in this way, live and on-the-fly. The sampler is loaded by default with six sample drum loops and has the ability to record new samples from the microphone or from the turntable. Plus load samples from any music folder or iTunes playlist and prelisten to selected samples before loading or fading into your mix. Remix like a pro with the Audio Split function that lets you prelisten on one turntable side with headphones while the main sound output is played through external speakers. For the DJ, recording artist and novice alike, this app becomes a versatile and effective audio sketch pad. 2 Turntables and a Microphone is a powerful sound mixing tool, condensed into a user-friendly interface with smooth and seamless interactions between all of its functions. With a new approach to old-school mixing, 2TTM offers everything you need in a DJ app! 2 Turntables and a Microphone is the logical choice when it comes to high quality sound recording. Zen Mix is a simple way to DJ on your iPad. To open a song press the folder icon. Press play to start the music. To change the volume, use the top vertical slider. To change the tempo, use the bottom vertical slider. There is a tempo reset button next the slider. To nudge tempo or position, use the triangle buttons. The most common controls are within the reach of your thumbs. With its carefully crafted design, Pacemaker makes djing easy, beautiful and fun. 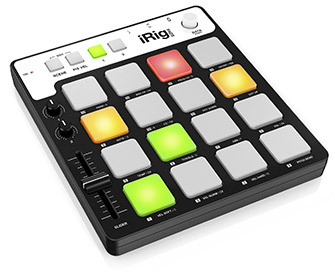 Sync with the tap of a button; and with a full set of colorful effects and a crossfader, you’ll have unlimited creative influence over the music you love! Spotify – Connect with Spotify and mix millions of tracks. iTunes – Your iTunes favorites works too. Sync – Automatically keeps everything in sync so you don’t have to. Scratch – Put the needle to the groove and scratch like the grandmaster. Crossfade – Swipe to blend your tracks together. Voilà! A mix has been born. With a tap you can loop it, extend it, half it and re-loop it. Build it up, maximize the tension and take it through the roof. Everybody’s waiting. It’s time to kill the effects. It’s time to push the Drop button. 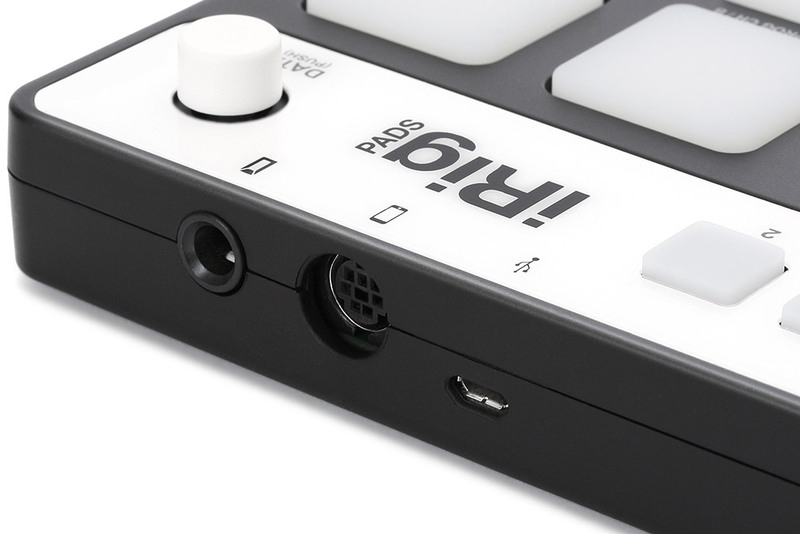 Hop back and forth between the beats in a track to create your live remix with Beatskip. Adjust the Bass, Middle and Treble of your tracks and glue them together. Record the mix on the fly. Play it, cue it and rewind it (only with iTunes). Split the output and preview a track with the headphones crossfader before blending it into your mix (using the optional Urbanears Slussen adapter). Hi-Lo – Remove the high or low frequencies from your tracks to create a swooping sound effect. Roll – Create a loop that spins on top of a track. Reverb – Make the track sound as if it’s being played in a small hut or the largest of cathedrals. Real DJing on iPad: turn your iPad into a complete DJ system. Mix your iTunes tracks in perfect sync, scratch, add effects, loops and more. Automix your songs for non-stop music. Record your set and share it on SoundCloud. Music lovers, mix at your next party and impress your friends. Pro DJs, Cross DJ uses the same engine as Pioneer’s rekordbox. It’s like having 2 CDJs in your pocket. Building on Mixvibes’ 10 years of expertise, the app is easy to use for music lovers, and powerful for experienced DJs. Achieve the same level of performance as with real decks! Scratch, loops, effects, hot cues: Cross DJ is the first app for iPad that provides pro DJ features in an intuitive design. Cross DJ replicates the industry standard DJ setup: jog wheels, Cue/Play/Sync buttons, full-fledged mixer. The smart tab layout and big controls make the mix even easier. Based on the same engine as our Mac DJ software, Cross DJ for iPad provides the most reliable synchronization tool and BPM analysis on the market. Plus, you can visually preview your mix using parallel waveforms and sync meter. To end with, you can edit accurate beat grids and pre-listen with split output mode. 2 pitch modes : Speed and Keylock. Mix tracks with different BPMs: no sound distortion. Cross DJ provides access to your iPad’s iTunes library and playlists. It’s the best way to get a feel for DJing, without any feature limitations. Stepping up to regular DJ decks will be easy, thanks to the app standard layout. • 10 compatible controllers (in-app purchase, but 5 minutes of free testing) : Mixvibes U Mix Control Pro & U Mix Control Pro 2, Pioneer DDJ-WeGo, Numark Mixtrack Pro & Mixtrack Pro 2, Hercules DJ Console RMX 2, DJ Control Instinct, DJ Control AIR (requires Apple iPad Camera Connection Kit), Vestax Spin2 & Numark iDJ Live. Ready to rock your next party? Introducing djay 2 – the next generation of the world’s best-selling iOS DJ software and winner of the Apple Design Award has been redesigned from the ground up. djay transforms your iPad into a full–featured DJ system. Seamlessly integrated with your music library, djay gives you direct access to all your favorite songs and playlists on your iPad. You can perform live, record mixes on–the–go, or enable Automix mode to let djay create a seamless mix for you automatically. Whether you are a professional DJ or a beginner who just loves to play with music, djay offers you the most intuitive yet powerful DJ experience on an iPad. djay 2 for iPad supports iPad mini, iPad 2, iPad 3, and the new iPad 4 running iOS 6 or later. Serato’s first official app for iPad is designed to compliment an existing Scratch Live or Serato DJ setup. Serato Remote will connect seamlessly to your Serato laptop software and work with all supported Scratch Live and Serato DJ hardware. Control Cue Points, Loops and Samples and manipulate FX in ways that weren’t previously possible. Perform all of your favorite Scratch Live and Serato DJ functions without needing to touch your laptop. See Serato’s famous Virtual Decks and Track Overviews so you can focus on the crowd and free yourself from your laptop. Connect over USB for ultra low latency or wirelessly, freeing you to move around the stage. • Control of your Scratch Live or Serato DJ Sample Player. Serato Remote has three performance tabs: PADS, SAMPLER & FX, all have been meticulously designed for the smoothest flow. Each performance tab can be used with the Virtual Deck View or in Extended View for extra control. The PADS performance tab gives you control of your Cue Points, Auto loops and Loop Rolls in the Virtual Deck View and in Extended View you can also access Manual Loops and Samples. The SAMPLER performance tab truly opens up the Scratch Live or Serato DJ sample player. The 4 banks of 6 sample slots are easily accessed in Virtual Deck and Extended View. • Sync your samples with Serato DJ. Control your Serato software library on your laptop with the Library Nav icon in the centre of the Virtual Decks. Navigate your tracks and TAB to your crates, files or folders. • Fast Scroll View with two-finger track load. • PLEASE NOTE SERATO REMOTE REQUIRES SERATO SCRATCH LIVE OR SERATO DJ LAPTOP SOFTWARE AND SUPPORTED HARDWARE. 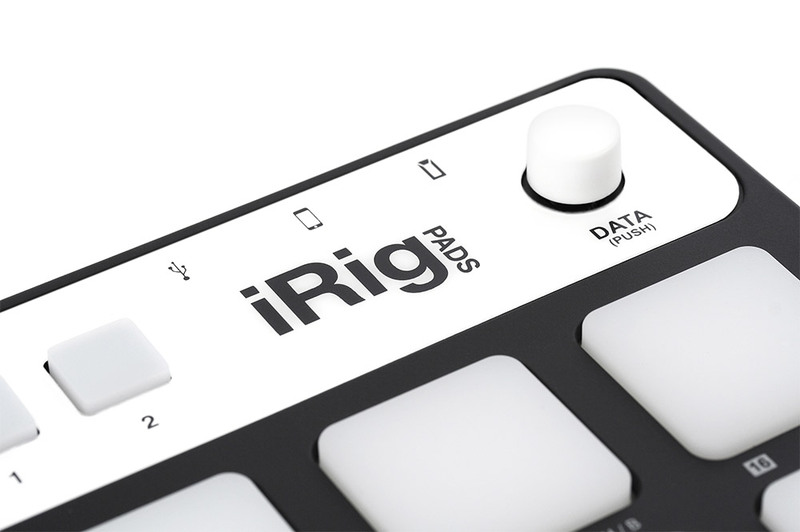 Meet the Ultimate DJ Sampler, the iPRO.DJSAMPLER. Designed and developed by a team of industry professional DJs, EDM Producers & Musicians at iThirtySeven, it presents the perfect balance of a professional, creative music sampler with simplicity & speed that DJs & musicians demand, and it’s right at your fingertips. This App incorporates a beautifully designed real-world interface & will transform your DJ sets & live performances into hyped up, hands in the air experiences. •Play loops & sounds on the fly to create awesome live performances. And via the in-App iPro Store you can purchase Sample Packs from some of the World’s leading DJs & producers, including Steve Aoki, Sidney Samson, Nick Thayer & Dirtyphonics from labels such as Dimmak & OWSLA. Also available are the iPro Sample Packs, including Dubstep, Electro, Dutch House, Rap, Male & Female Vocal packs. •16 Trigger pads that illuminate when a Sample is triggered. 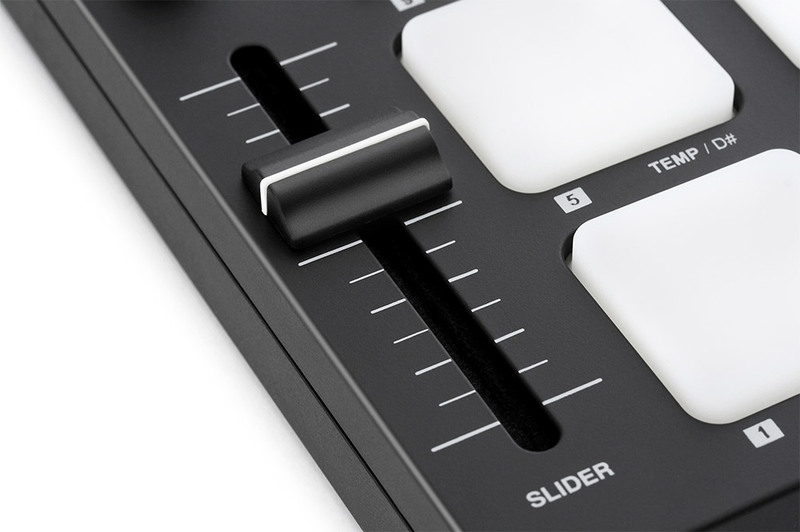 •Pad Editor button : Use this button to set the way you want each individual sample to play back. •Effects Assign button : This button enables you to assign which Pads you want effected. The yellow L.E.D. light in top left corner of each Trigger Pad indicates whether samples will be effected. •Here you can l to quickly Select & load Sample Packs at ultra fast speed. •Swipe across to view or load next set of 8 Sample Packs. •16 ultra fast response Trigger Pads that display sample names & illuminate while each sample plays. •8 Effects Buttons: Select desired effects, or swipe left to view additional 8 effects. •Includes Free Sample Pack with 16 samples, including loops, vocals & sound effects.